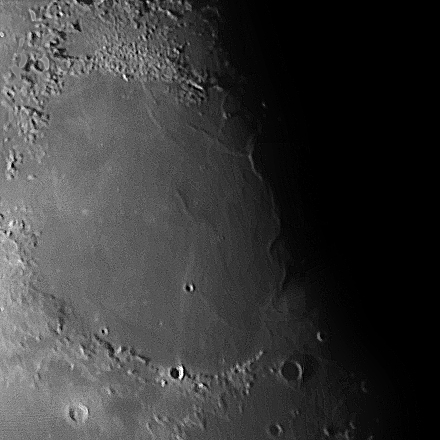 Here we see the Sea of Serenity (Mare Serenitatis). The wrinkle ridge along the terminator is know as Dorsa Smirnov. This shot is from a twenty day moon taken at f/10. It is a six frame mosaic.